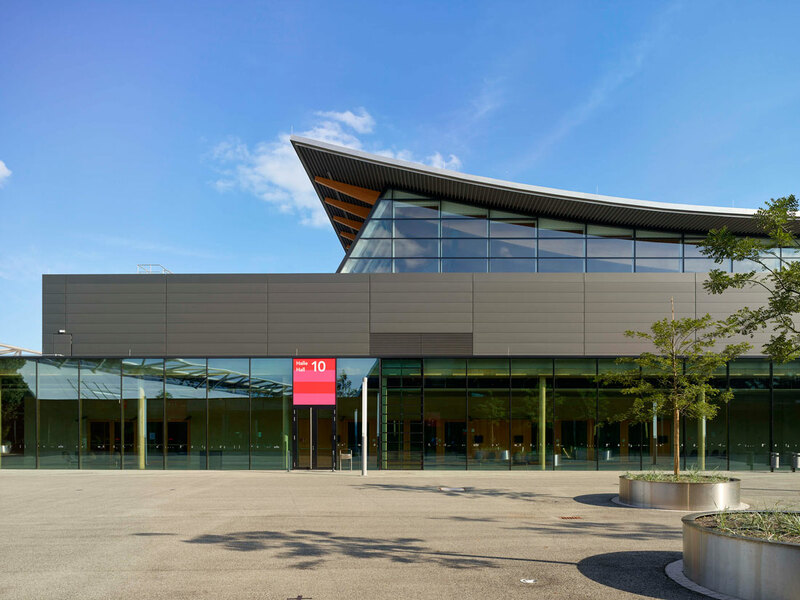 The special challenge of the design was to create an exhibition hall that takes up the curved character and scale of the existing halls, but its dimensions do not match those of a standard hall (10,500 sqm) nor those of the high hall (20,900 sqm). 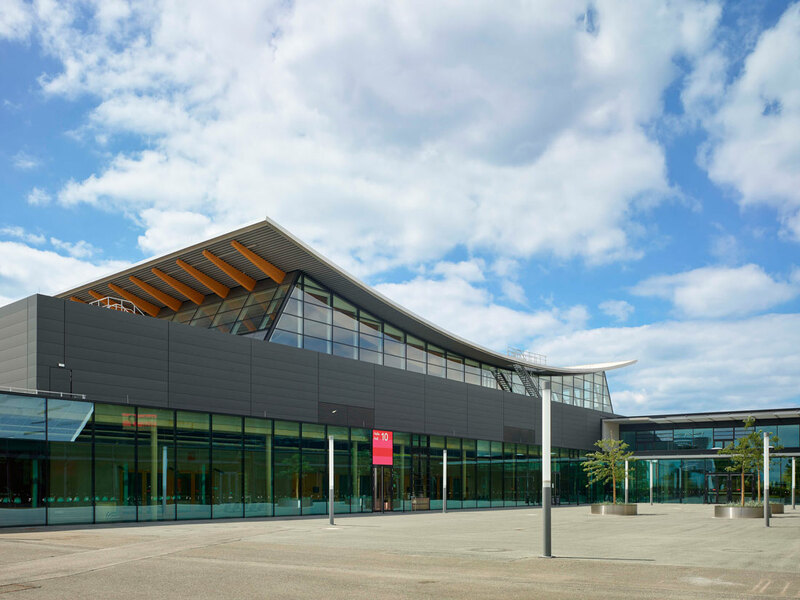 From this starting point, we developed the concept of the three-nave exhibition hall, with a strikingly curved wooden roof over the naves. The size of the central nave takes over the scale of the standard halls. 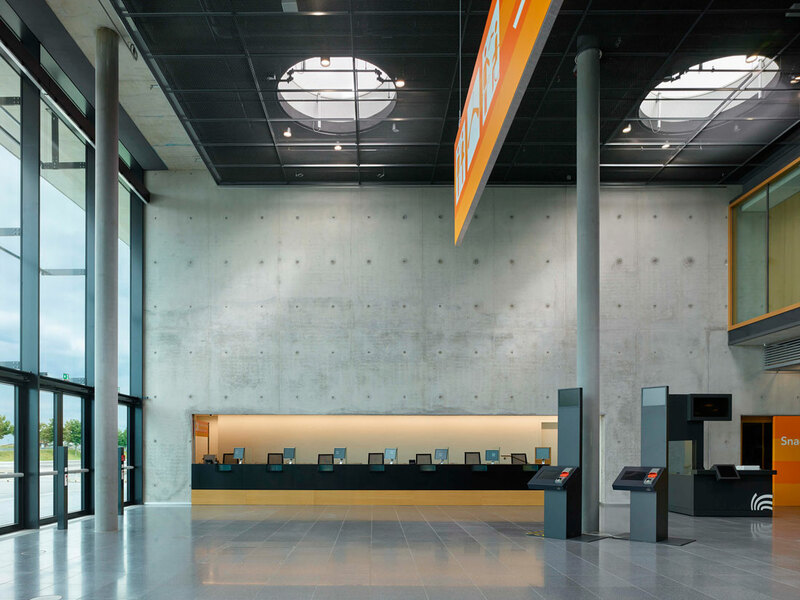 The previous west entrance was only designed as a temporary solution for the construction of the New Trade Fair Center. The design idea from the competition in 2000, which envisioned the same number of halls on the north and south sides, has now been implemented with the expansion. The previously asymmetrical ensemble was completed by the construction of the new Hall 10 (Paul Horn Hall). 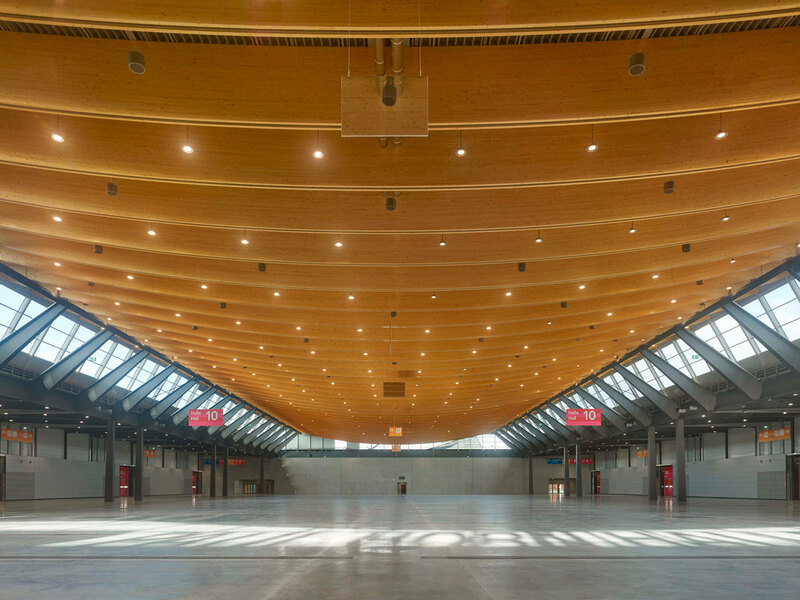 The new building, with a central nave that is spanned by 68-meter-long laminated wood beams, offers an exhibition area of approx. 14,500 square meters. 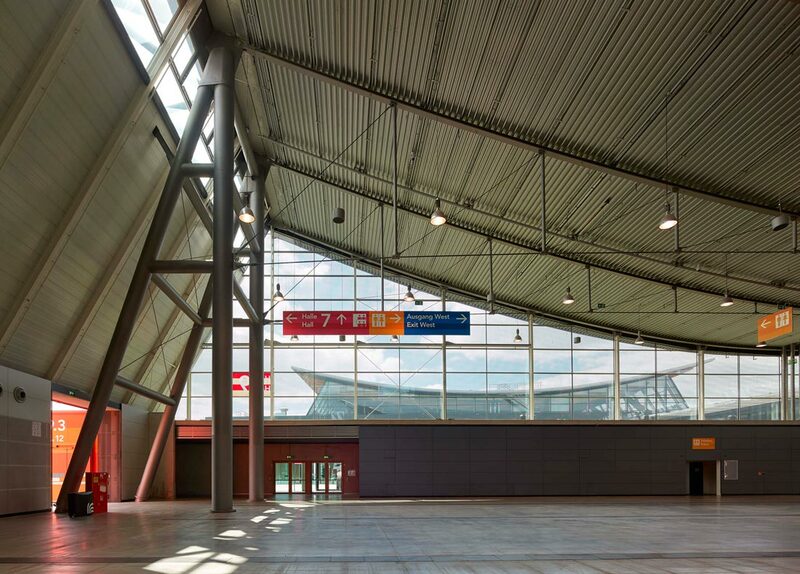 Its shape further develops the curved silhouette of the existing exhibition halls. The extension was built with an upgrading of the west entrance. In front of it, a newly designed plaza was built, which is to be connected to the U6 light rail line.